In today's post we will take a look at a Nintendo tradition that is somewhat shielded from the eyes of the general public. 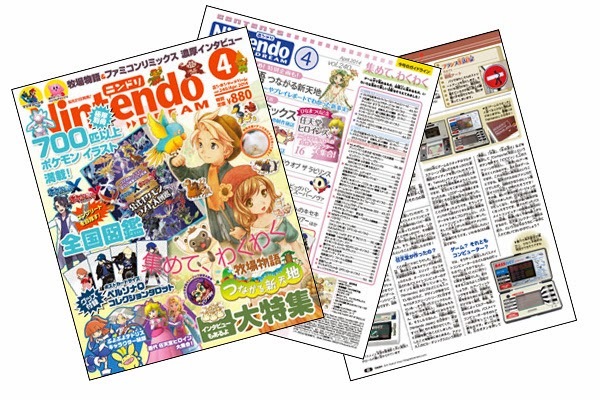 Like most other regular businesses, Nintendo produces a company compendium for internal use, with information on history, strategy, departments and management. 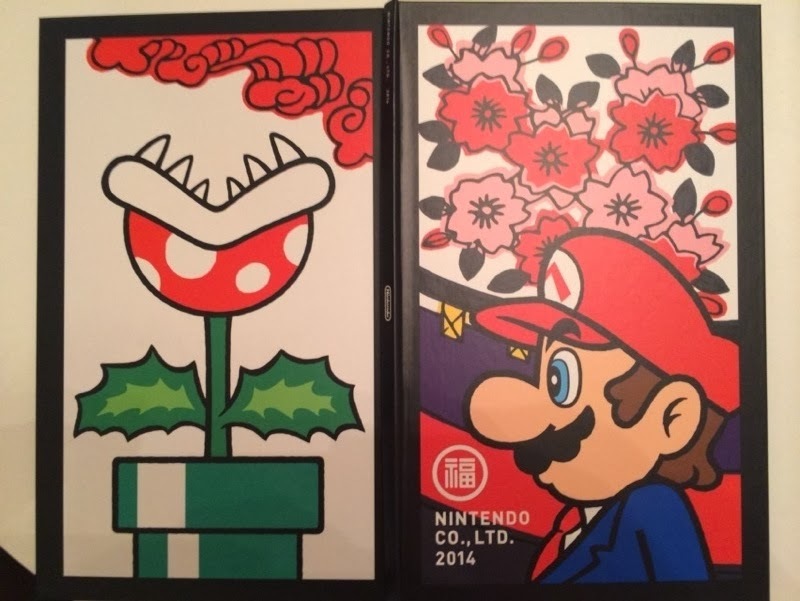 But unlike most companies - that usually deliver dull affairs not unlike telephone directories dipped in some branding sauce - Nintendo's company guide is eye-poppingly well designed. 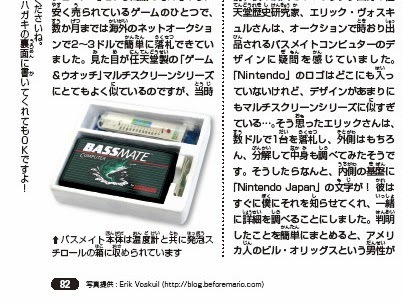 This month's edition of the Japanese magazine Nintendo Dream includes an article on the Bassmate Computer. 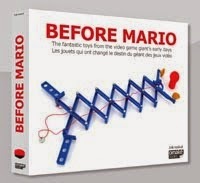 As regular readers of this blog will recall, the Nintendo co-developed and manufactured Bassmate fishing computer was discovered as Nintendo item some time ago by collector Sander Slootweg and introduced to the world through beforemario.com. 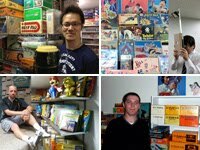 The article in Nintendo Dream was written by Florent Gorges, based on our joint research from June last year. The magazine is available on newsstands in Japan now, as well as at online retailers like Amazon Japan.